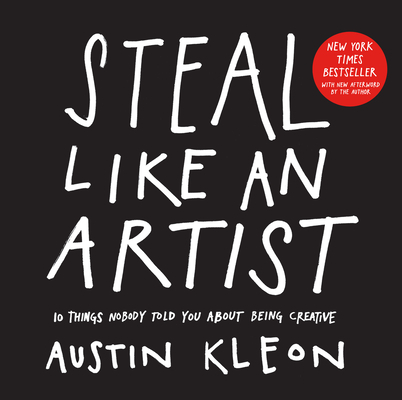 An inspiring guide to creativity in the digital age, Steal Like an Artist presents ten transformative principles that will help readers discover their artistic side and build a more creative life. Nothing is original, so embrace influence, school yourself through the work of others, remix and reimagine to discover your own path. Follow interests wherever they take you—what feels like a hobby may turn into you life’s work. Forget the old cliché about writing what you know: Instead, write the book you want to read, make the movie you want to watch. And finally, stay Smart, stay out of debt, and risk being boring in the everyday world so that you have the space to be wild and daring in your imagination and your work.